Danielle Daws: There She Goes! Isn't that cat image adorable? 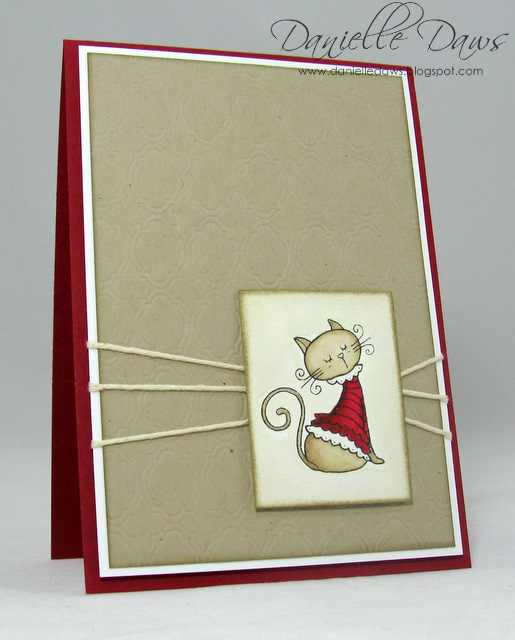 Love cards that use up scraps too! This is SO adorable...beautifully done with these colors! Tooooooo cute!! 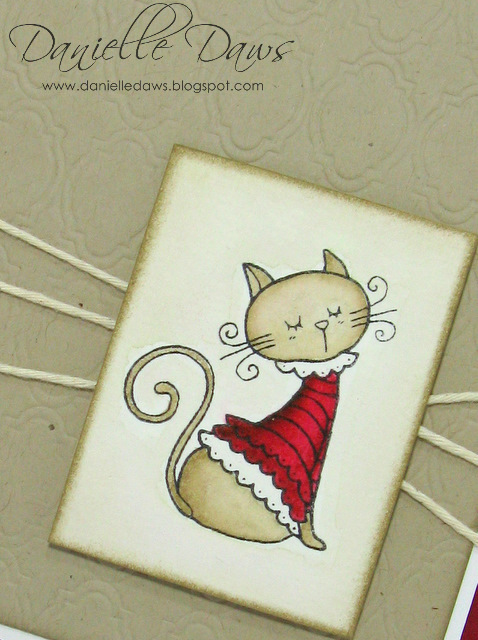 Love the embossing plate and the gorgeous watercolouring. WOW this is so cute!!!! All I can say is Puuuuuuurrrfect! I am interested in profiling you for the TSG Trendsetting Spotlight. Please email me at corinnamcgregor at gmail dot com so I can get the questionaire and info to you. Congrats!! oooh, I love the cat stamp. It's gorgeous.